Lana Del Rey has postponed an upcoming appearance at Meteor Festival in Israeli following pressure from fans, as well as the Boycott, Divestment and Sanctions movement, to cancel as a sign of solidarity to Palestine. The singer had previously stated that she would make an attempt to visit both Israel and Palestine as part of the festival appearance having initially refused to cancel her appearance, stating that "music is universal and should be used to bring us together". Her latest statement outlines her reason for postponing the appearance, saying: "It's important to me to perform in both Palestine and Israel and treat all my fans equally. Unfortunately it hasn't been possible to line up both visits with such short notice and therefore I'm postponing my appearance at the Meteor Festival until a time when I can schedule visits for both my Israeli and Palestinian fans, as well as hopefully other countries in the region." Her earlier statement had said "that performing in Tel Aviv is not a political statement or a commitment to the politics there". Activists and fans had suggested that she abandon the booking due to the Israeli government's treatment of the Palestinian people reminding her that many Palestinian people would be banned from attending the festival. "Thank you for your principled decision," the Palestinian Campaign for the Academic and Cultural Boycott of Israel said in a statement following the announcement that she would no longer play at the festival next week. As part of the BDS, PACBI calls upon individuals to culturally boycott Israel as a means of solidarity for the Palestinian people. 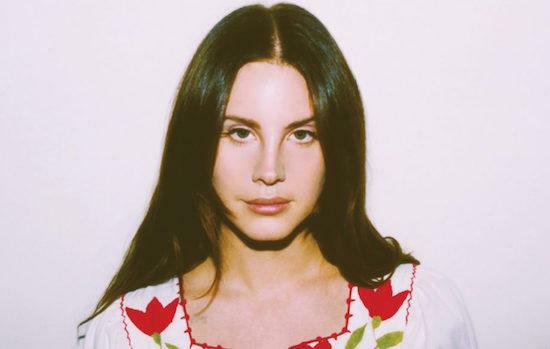 Lana Del Rey has previously cancelled a show in Israel in 2014 as a result of the war that summer between Israel and Palestinian militants in the Gaza Strip. Del Rey is the latest act to have pulled out of the festival having originally appeared on the line-up, with the likes of Shanti Celeste, Leon Vynehall, DJ Seinfeld, Volvox and DJ Python also amongst those to have withdrawn from the show.